A wedding, the birth of a child, graduation – any big lifetime achievement makes it feel like the stars have aligned just for you. And our personalised star map gives you the chance to capture that unique alignment as a stunningly bold print that will be yours forever. 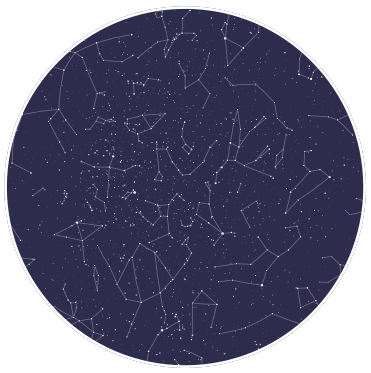 Just enter the place and time of your special event (past or future) and that exact configuration of stars will appear before your eyes. 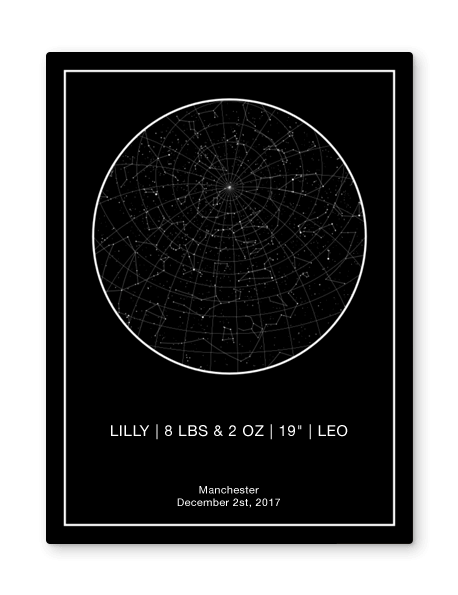 Each star map print is a unique memento of one point in space and time that changed lives. We’ve all shared in a loved one’s big event which seemed to make time stand still. Why not give them a custom star map showing the heavens just as they were at that perfect moment? 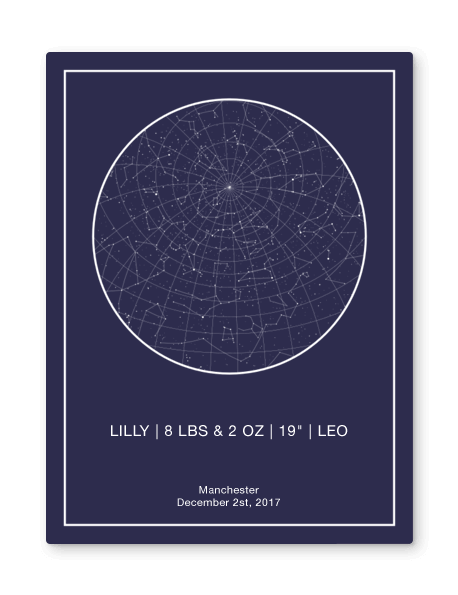 A personalised map of the stars is a novel and deeply touching gift idea which shows just how much the event meant to you – and what’s more, it’s a classically beautiful decor item that will grace any wall. 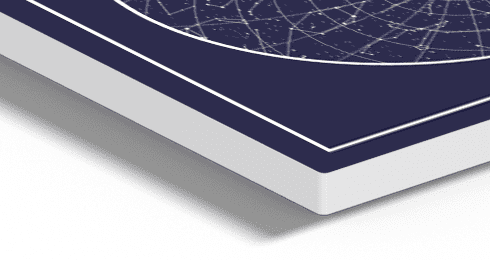 Every personalised star map is printed on our super-contemporary Forex® photo board, as durable as it is elegant. 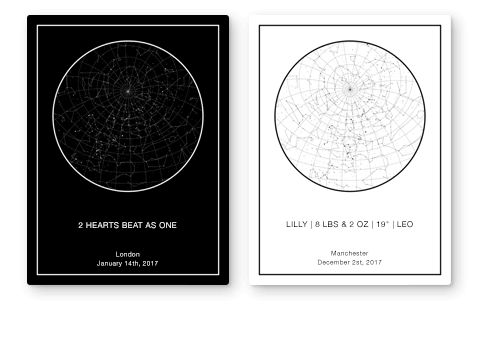 You can choose from our range of 9 striking background colours (simple black or white, or an evocative tint like Sunset or Ultraviolet) and then add a grid system if you wish, or maybe a constellation chart. 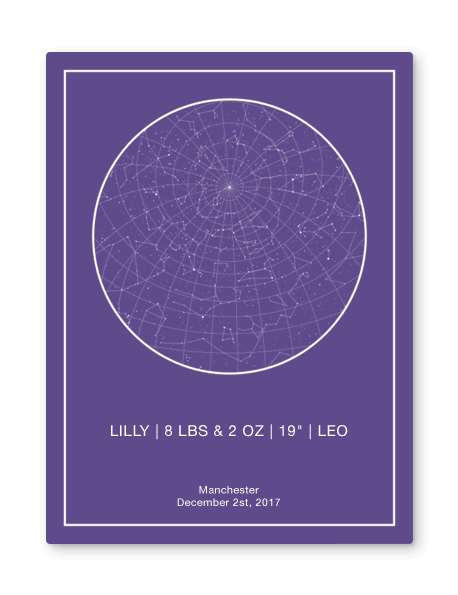 In its simplest form your personalised star map will display no text beyond the place and date you’ve chosen, but you can add your own dedication for an even more personal touch. Sleek and understated, crisply printed and exactingly cut, our personalised map of the stars gives you the quality that life’s most precious moments demand. 2019-04-09. With a customer rating of 4.7 stars from a possible 5, My-Picture.co.uk has an excellent 93% rating based on 100% of the 18001 reviews collected by Google and/or its partners. Start designing your Personalised Star Map now!